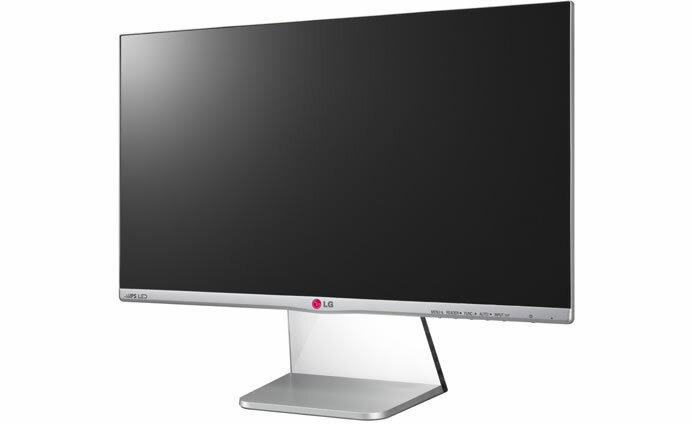 LG today announced its newest 24-inch Full HD MP76 IPS monitor which combines a Crystal Float Stand and LG’s super thin CINEMA SCREEN Design that makes a bold, eye-catching statement. The IPS display enables the MP76 to deliver exceptional picture quality while special features such as LG’s Flicker-Safe technology and Reader Mode contribute to an incredibly comfortable viewing experience. The LG MP76 comes in a sleek metallic finish and features the transparent Crystal Float Stand, which makes the monitor appear to float in darkened surroundings. The monitor adds a touch of modern sophistication to nearly any decor thanks to its clean, understated look. It can easily be wall mounted and the upgraded CINEMA SCREEN Design, 24-inch Full HD IPS display and thinner bezel allows the MP76 to deliver an incredibly immersive viewing experience.